Yellow Dog Patrol: Happy Easter! When I was younger, I was deeply in love with Christmas, and the concept of a Savior being granted to us. 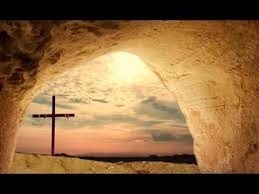 With age and perspective, that position has changed and the sacrifice of Easter has taken top billing as the most meaningful of all holy celebrations for me. It is a come-back victory for the ages: Against all odds a sacrifice was rendered, a crushing loss suffered, and just when things seemed at their bleakest, a resurrection and a pathway for all souls to be reconciled to the Father. It's like winning the World Series after being down 0-3, and it happens every liturgical season. Victory! Sweet, sweet victory, and with an associated reward that is impossible to measure.